If you are annoyed, so sorry to keep coming here. I’ve got another one. I bought a piece of halibut at Costco, the first time with the skin on. Not sure it was a great move, since after boning and skinning, it might cost me more than the filet. But it’s done. Trying to add a picture. 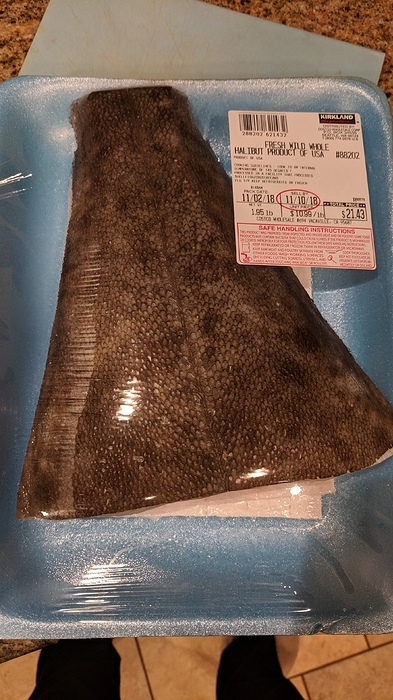 Any compelling reason or recipe I might want to cook with bone and skin on? Would they add that collagen/ mouthfeel thing to a sauce, curry or soup? Any compelling reason I might want to cook with bone and skin on? Cooking on the bone is often to said to improve flavour. How true that is must be anyone’s guess - I’d need to do a blind taste to see whether I noticed anything. Cooking with the skin still on probably helps to keep it all together. But, unless you can get the skin crispy, take it off before eating - nobody wants to eat flabby fish skin. And yours is really cheap! 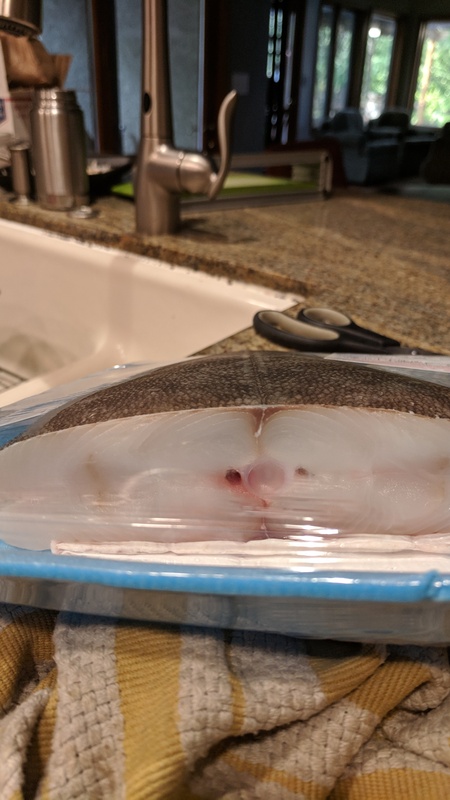 Chefteps butchering a whole halibut. 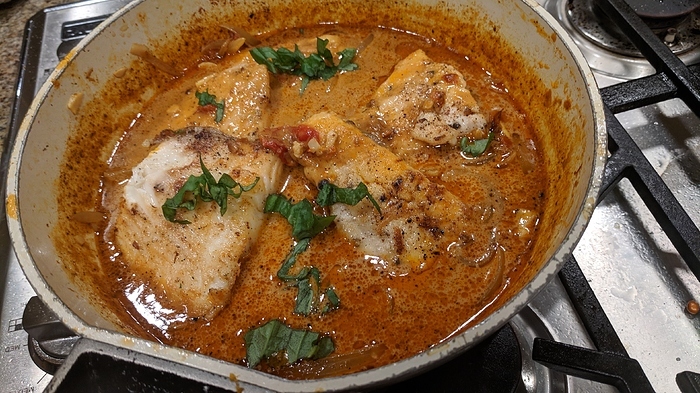 Halibut in coconut green curry.